First off - I'd like to thank Kevin for helping me learn to build amps. I've always appreciated his willingness to answer my rather basic questions. I've decided to give away an amp that I recently designed and just finished building. It sounds pretty good to my ears. It more-or-less follows TUT design (except with one node of the power supply is shared by two preamp stages - sorry KOC). Distributed filtering, galactic ground scheme, bias adjustment for each power tube. The output section has a pair of octals (6V6; also works well with 6L6) with fixed bias. The preamp has two parallel inputs (bridged internally, of course) and one or two 'twists' that enable the user to go from plexi-ish levels of gain to JCM+ levels of gain. So how and why am I going to give this amp away? Most of those details will be revealed soon (once I figure them out). 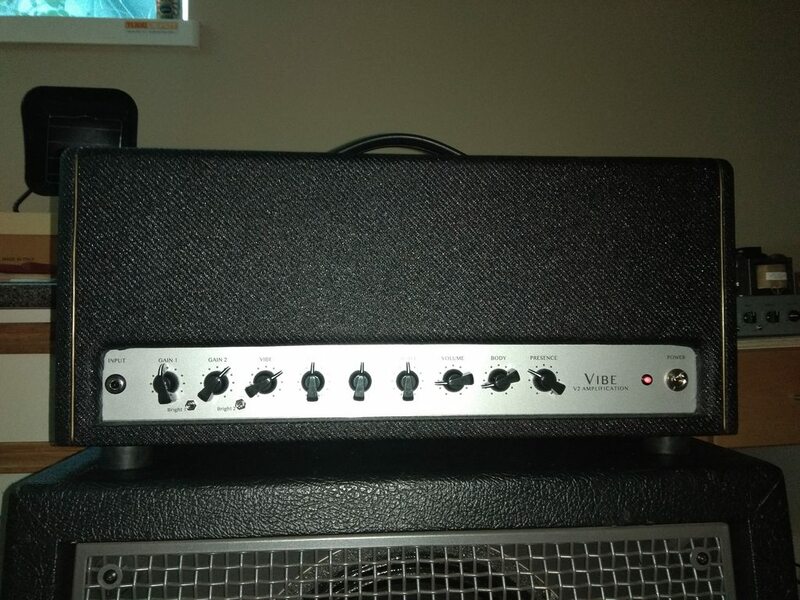 I'm pretty sure I'm going to run the 'amp lotto' on my own website or facebook page, and I'm also pretty certain that I won't include a head shell. Here is a snapshot of the amp chassis sitting in my lovely black-tweed head shell (that is definitely not up for grabs). Current time: 04-25-2019, 05:22 AM Powered By MyBB, © 2002-2019 MyBB Group.